Will You Be My Foster Angel? If you can take a displaced Boxer into your home and heart, giving of yourself and your time, you will not only be providing the vital bridge to a new life for that one Boxer, you may well be giving that Boxer the priceless gift of life itself. Boxer Rescue Angels of Florida is always in need of Foster Homes. All of our Boxers are housed in private homes – we do not operate a kennel – so the more Foster Homes we have the more Boxers we can pull in to our rescue program. The pleas for assistance continue to grow, but we can only help when space is available to provide a temporary home in which to mend the hearts and bodies of these Boxers in need. Please consider being a Foster Angel. An overview of our Foster program is below which will provide answers to general questions you may have. To apply, submit an Application and check “Foster”. Upon coming into rescue, Boxer Rescue Angels (BRAF) pays for all approved veterinary expenses relating to the foster Boxer’s healthcare, including initial exam, updating vaccinations, spay/neuter, heartworm preventative, deworming, microchipping and medications, as well as heartworm treatment, required surgeries and emergency vet care if needed. All vetting must be approved and will be arranged with one of our partner vets, who will bill BRAF directly for their services. A BRAF ID tag will also be provided to be attached to the foster Boxer’s collar. All Foster Homes have a BRAF Coordinator who will remain in close contact to provide guidance and assistance from the day the foster Boxer arrives. Your BRAF Coordinator can help you to understand the behavior of your new foster Boxer and offer great tips for making the transition to your home as easy as possible. Beginning with how to handle initial introductions and first days in the home, the BRAF Coordinator will not only monitor the Boxer’s medical care but take you through the Boxer’s adoption to a carefully screened permanent home. If any questions or concerns arise, the BRAF Coordinator is there to be contacted so these can be handled quickly and appropriately. The Foster Home provides their foster Boxer temporary care, love, attention, good quality dog food (your BRAF Coordinator can make recommendations), bedding, food and water bowls, collar, leash (not retractable) and toys. BRAF expects the foster Boxer to be treated as part of your family. Safe places to sleep, eat, rest and play are essential, along with providing consistency and a routine which will help the foster Boxer acclimate more quickly. Crates are recommended and BRAF can arrange the loan of one to the Foster Home if necessary. The Foster Home will integrate the Boxer into their household, and provide socialization and basic training skills, along with housetraining if needed, all of which will enhance the Boxer’s adoptability. 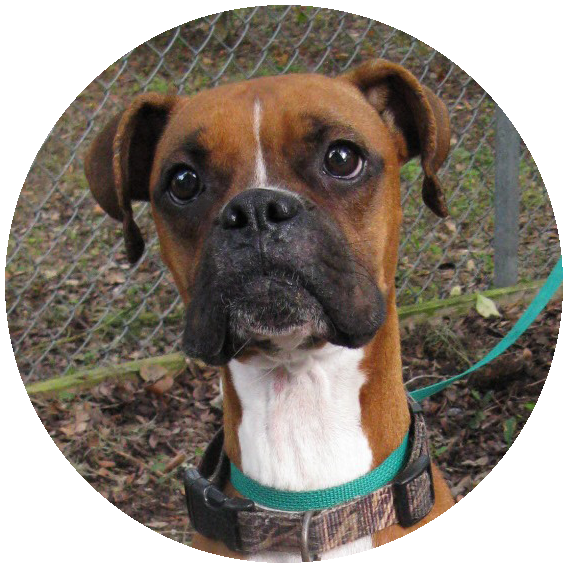 The Foster Home will help BRAF evaluate the health (with vet assistance), personality and traits of the foster Boxer. They will also help evaluate how social the Boxer is with children, adults and other animals, as well as the level of any past training. How active is the Boxer? Does it need to work on leash manners? Does it need to be in a one-dog family or need another dog as a playmate? The Foster Home will provide periodic updates to the BRAF Coordinator, along with updated photos to ensure the Boxer’s bio is current on the website. Dependable transportation will be needed to take the foster Boxer to vet appointments and to participate in area BRAF events so the Boxer has an opportunity meet potential adopters. Though BRAF does not do on-site adoptions, many Boxers meet their forever families when they “connect” at these events. If you attend with your foster Boxer you can show him/her to those interested in adopting and answer questions yourself, the person who knows the Boxer best! HOW LONG WILL I HAVE MY FOSTER DOG? 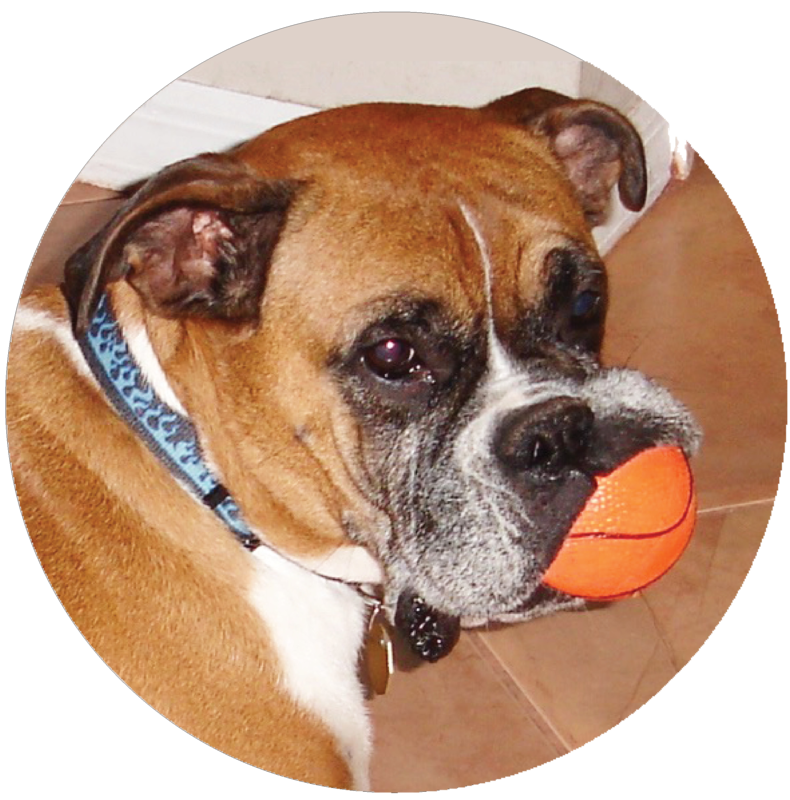 This common question is difficult to answer as every Boxer is different and many factors affect how long the dog will be in your home, including age, temperament, socialization and medical care required. It can be in foster care for a few days or several months. There are often more dogs waiting for forever homes than applicants ready to adopt. We encourage you to be patient, keep the foster Boxer’s bio up to date and participate in meet and greets, as often a dog that may be overlooked on the website will charm everyone they have the opportunity to meet personally, with their big brown eyes, wiggles and kisses. WHAT SHOULD I EXPECT WHEN A FOSTER BOXER FIRST ARRIVES? The foster Boxer may be nervous or restless for several days after arriving at your home. Some settle in after a few days while others may take longer. They may have experienced a great deal of stress as their world changed and do not understand what is happening. Everything is new and they don’t know how they fit in, though they will try very hard to do so. Some common signs of stress are panting, pacing and drinking a lot of water (you will need to take the foster Boxer out for more frequent potty breaks to eliminate). Until the dog becomes accustomed to your household routine and which door to go to, and you learn the Boxer’s cues for needing to go out, there may be accidents due to their confusion or stress. You can expect your new foster Boxer to stick to you like velcro, following you from room to room, as they look to you for direction during this change in their circumstances. This is not the time to have all your friends over to meet the new foster Boxer. Take it slowly and give him/her the chance to get to know you, your family, your home and your other pets. A crate placed in a quiet area can be a place of security for your new foster Boxer and provide the “quiet time” needed. If you have other pets in the home it is important to have a separate area for the new foster Boxer and gradually introduce him/her to the rest of the household. Your BRAF Coordinator will provide you with more information on crate training and introductions. WHAT IF A PROBLEM OCCURS WITH A FOSTER DOG? 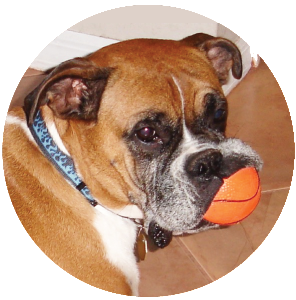 BRAF is committed to providing guidance and assistance throughout the time you have a foster Boxer. Help is just a phone call or email away if there is a problem or question. Contact your BRAF Coordinator immediately so appropriate action can be taken. WHAT IF I GO ON VACTION OR HAVE AN EMERGENCY WHILE FOSTERING? Contact your BRAF Coordinator as soon as possible so arrangements can be made for an alternate Foster Home to care for the Boxer, or to arrange boarding for a short time if it’s an emergency. The more notice we have the easier it is to make arrangements. DOES THE FOSTER HOME HAVE A SAY IN WHO ADOPTS THEIR FOSTER BOXER? The BRAF Coordinator and Foster Home work together to find the best match for the foster Boxer. You know the Boxer’s habits, personality and needs, and will discuss these with prospective families when arrangements are made for the families to meet your foster Boxer. Your opinion is important for a successful adoption, though final say is with BRAF. WILL IT BE DIFFICULT TO GIVE UP THE FOSTER BOXER WHEN IT’S READY FOR A FOREVER HOME? To be honest, yes. The foster Boxers capture our hearts as we provide much needed love and care while helping them get ready for their new home, so parting is bittersweet. It helps to focus on the reason we became a Foster Home, not to add another member to the family, but to save a displaced Boxer. You’ve helped them bloom and regain confidence, ready to build a life with their new family. Many Foster Homes keep framed photos or memory albums of their foster Boxers, and often remain in touch with the adoptive families to share photos and stories of these beloved Boxers who are now safe and loved in a forever home. Another Boxer is waiting and needs you now. WHAT IF I WANT TO ADOPT MY FOSTER BOXER? We understand that sometimes a Foster Home may want to adopt their foster Boxer. If the BRAF Team feels it is an appropriate adoption match for both the Boxer and the family, the adoption can take place. However, if a potential adoption is already in process, the Foster Home must wait until the approved applicant has had an opportunity to meet the Boxer and adopt. We always hope the Foster Home will continue to foster and help other Boxers needing the chance for a new life. Thank you for your interest in Fostering. If you are ready to join BRAF as a Foster Angel, please complete our Application and check “Foster”. If you would like to speak with a Volunteer for additional information please Contact Us.